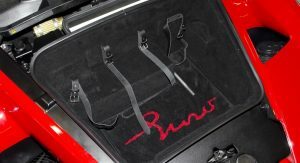 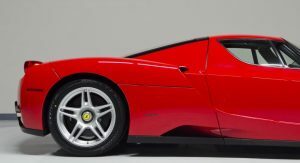 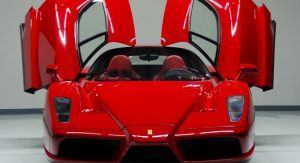 Ferrari assembled the Enzo in just 399 units, but despite the limited production, there’s always a small number off them on the lookout for new homes. 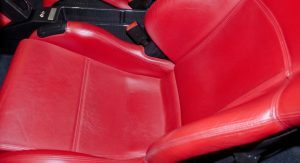 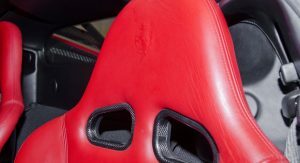 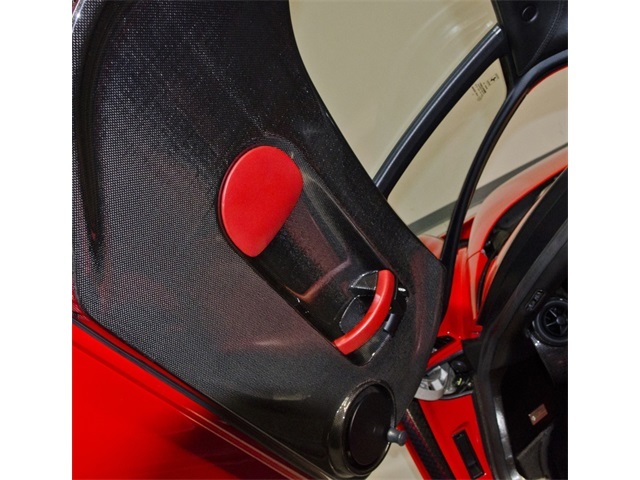 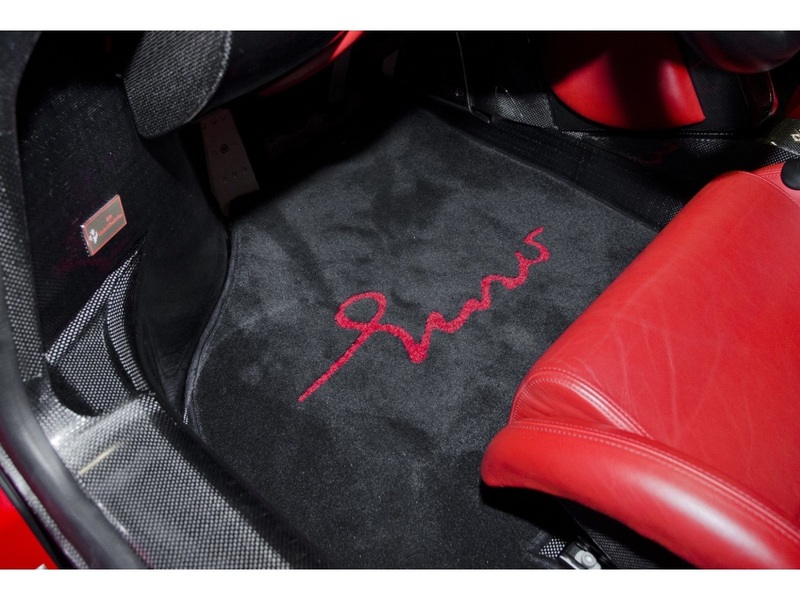 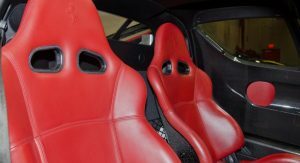 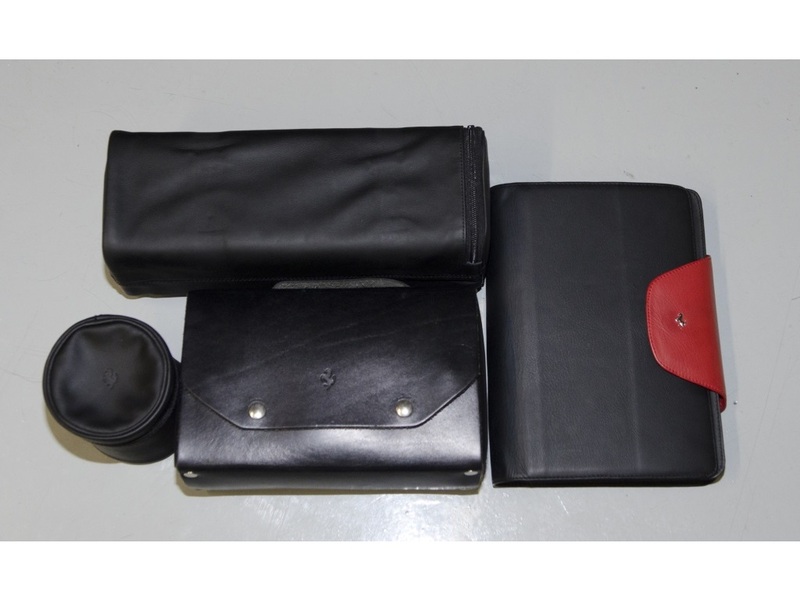 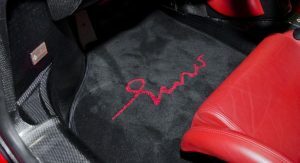 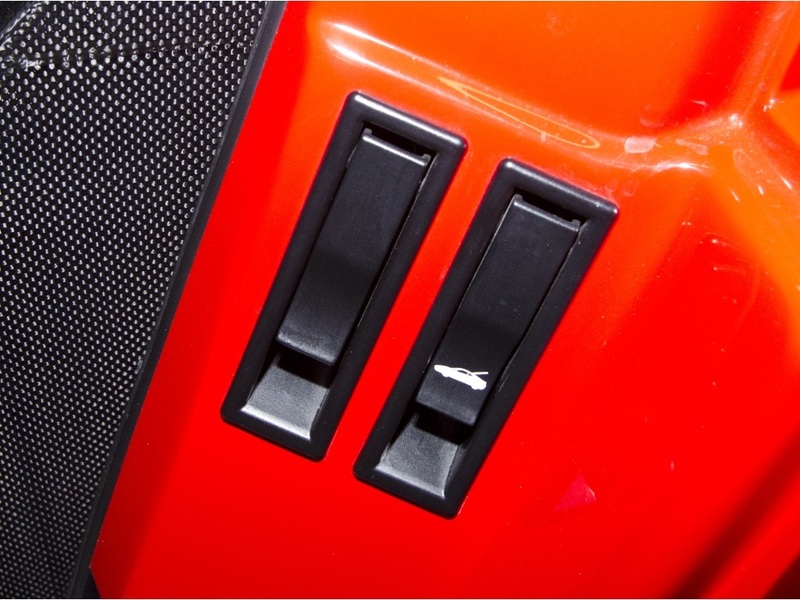 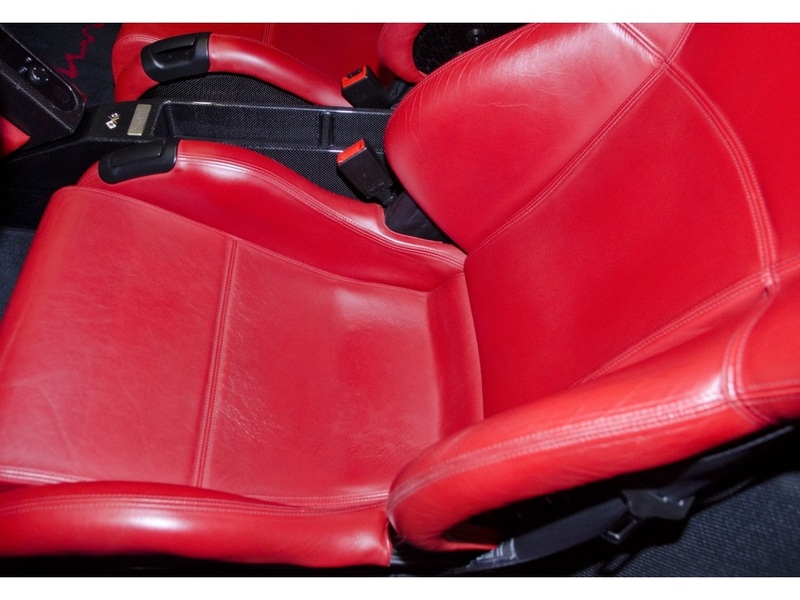 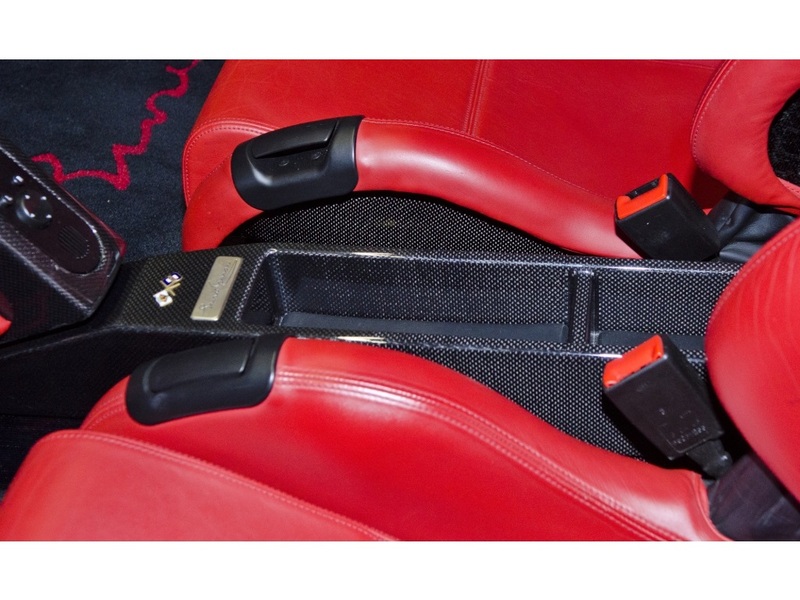 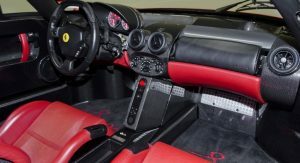 The latest example that should soon shift owners was made in 2003 and brandishes a red paintjob with matching leather upholstery. 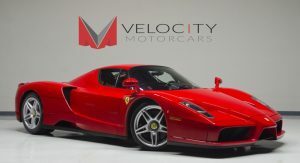 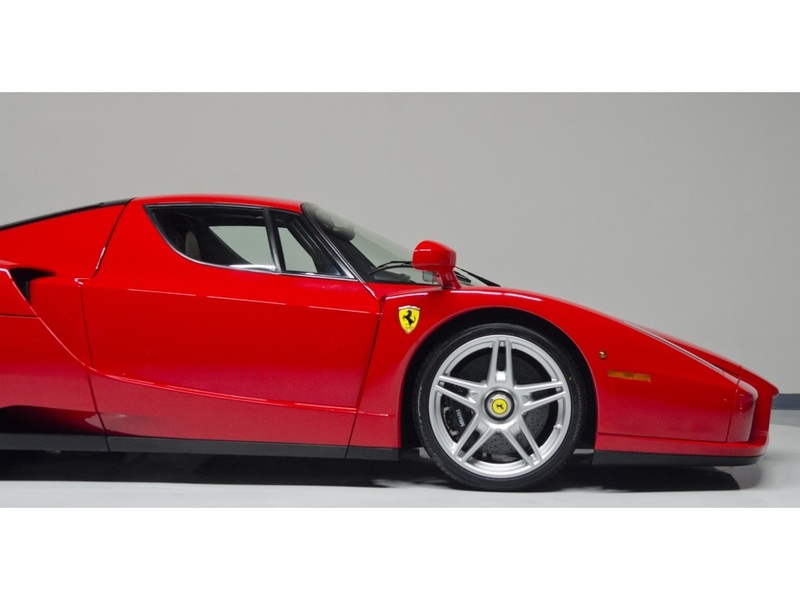 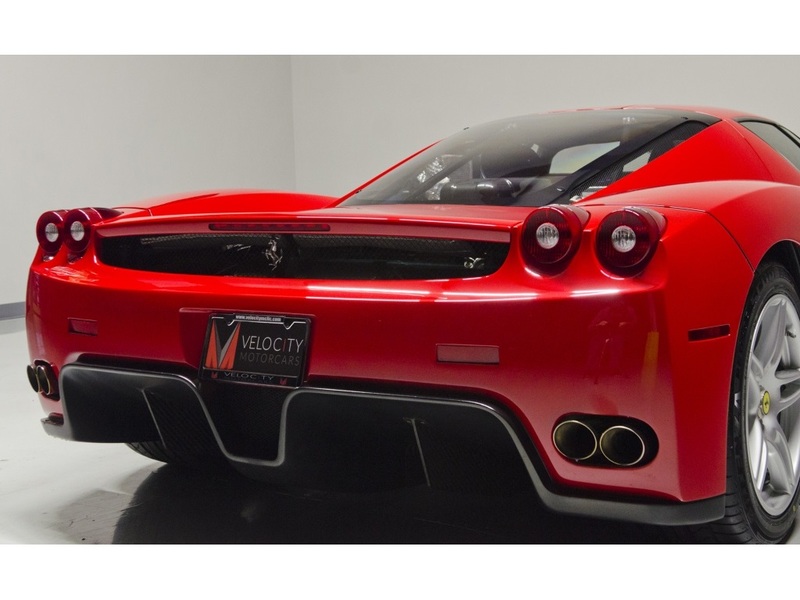 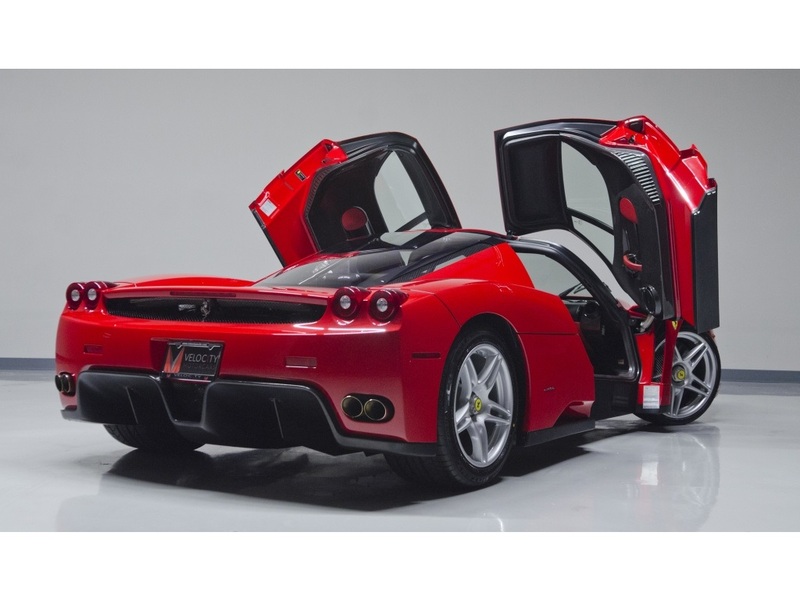 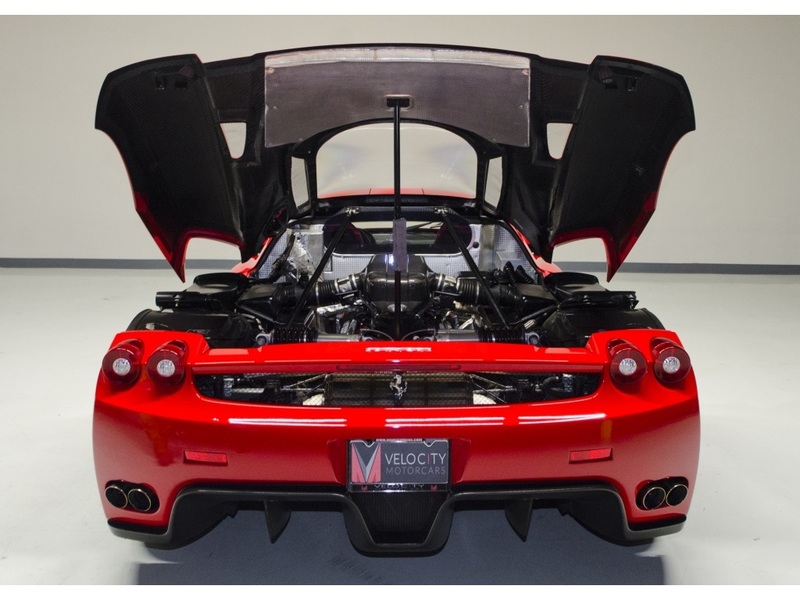 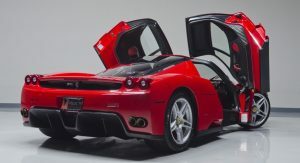 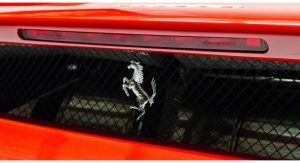 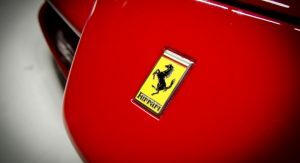 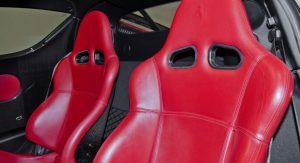 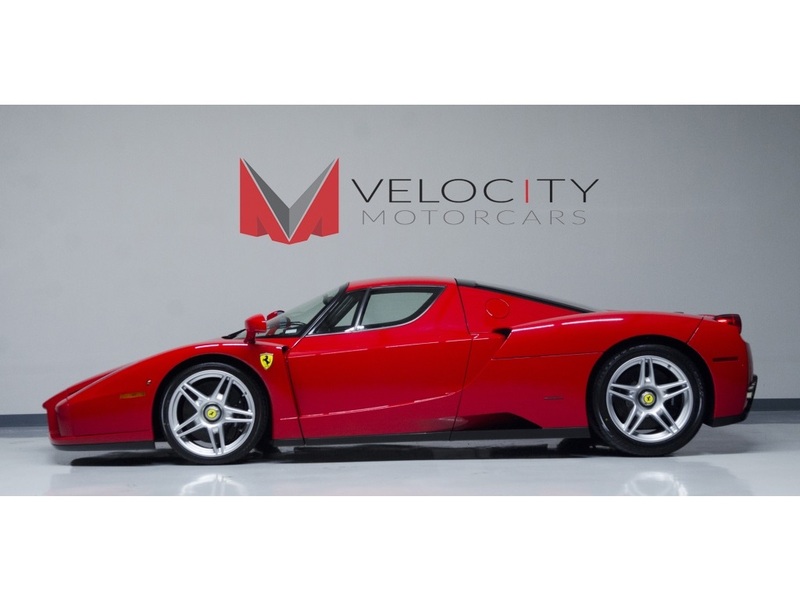 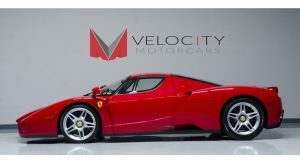 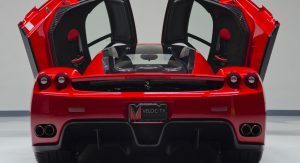 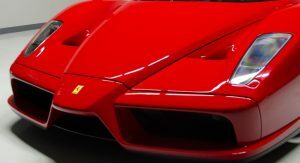 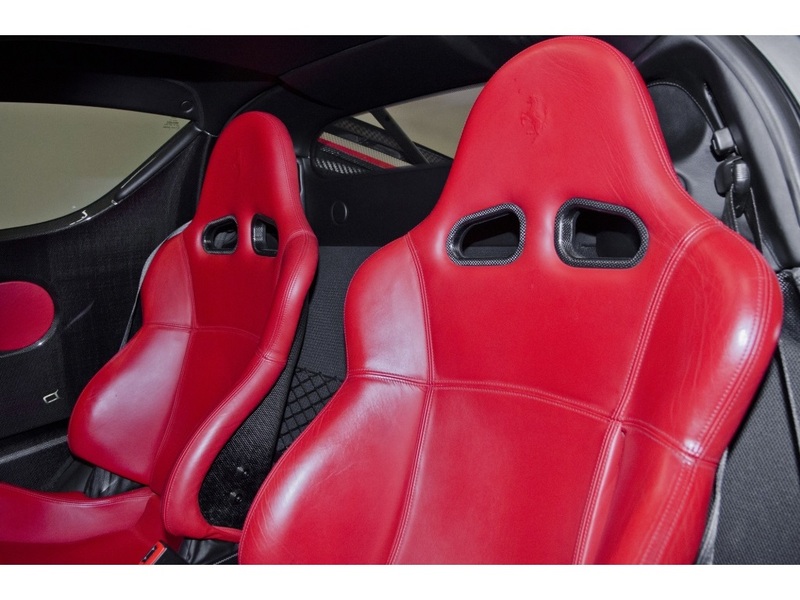 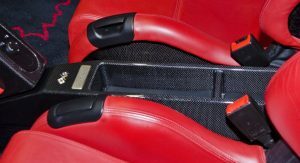 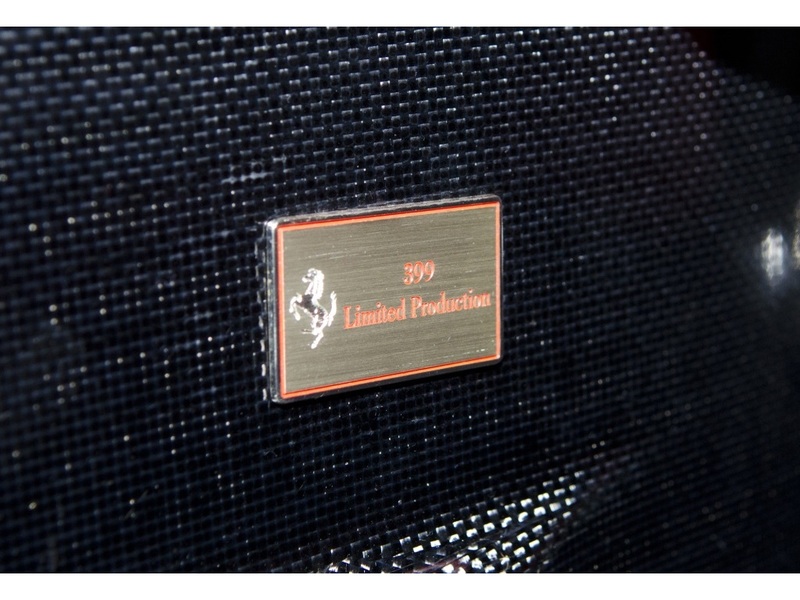 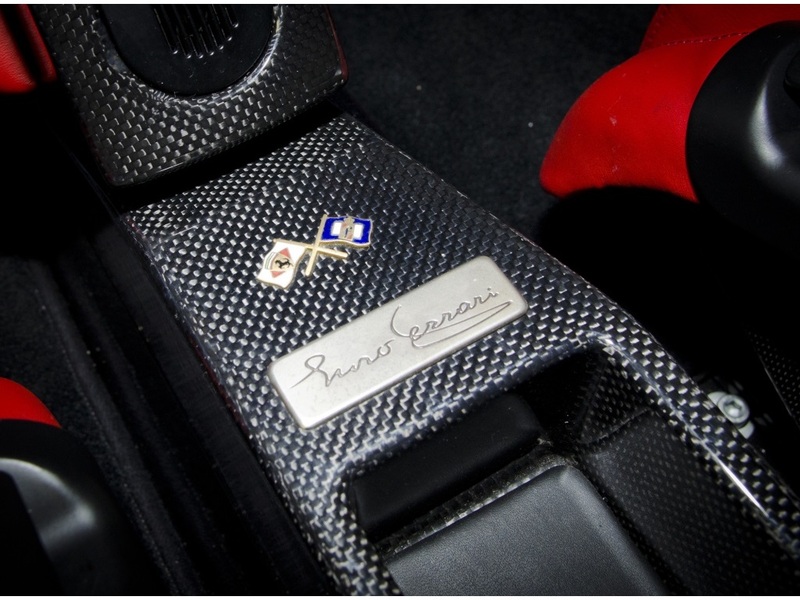 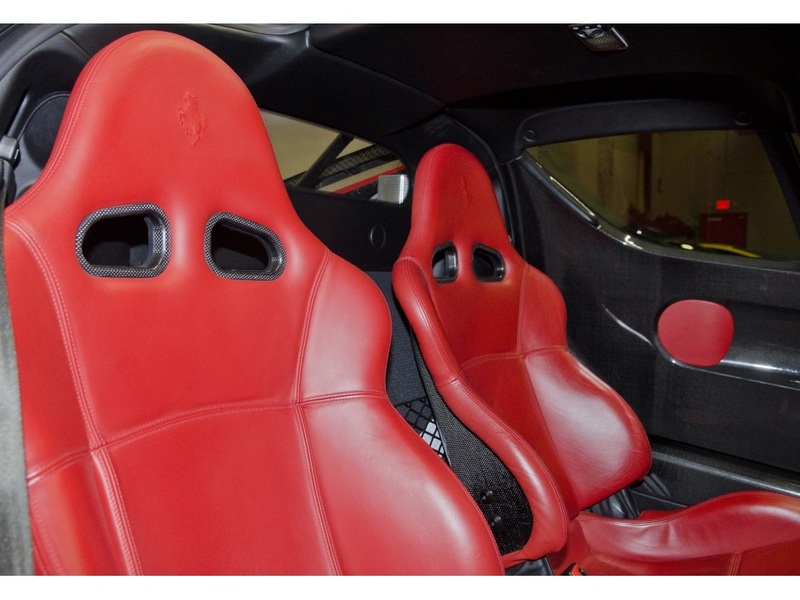 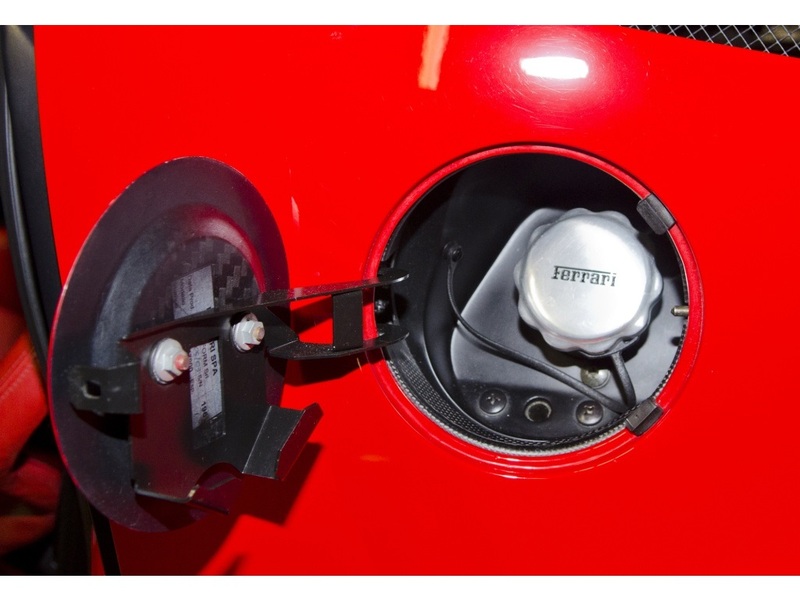 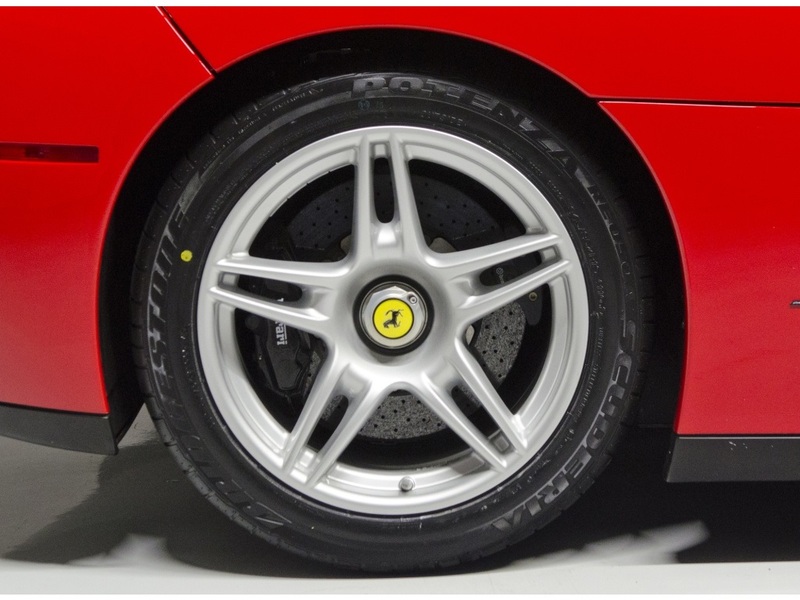 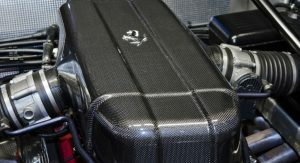 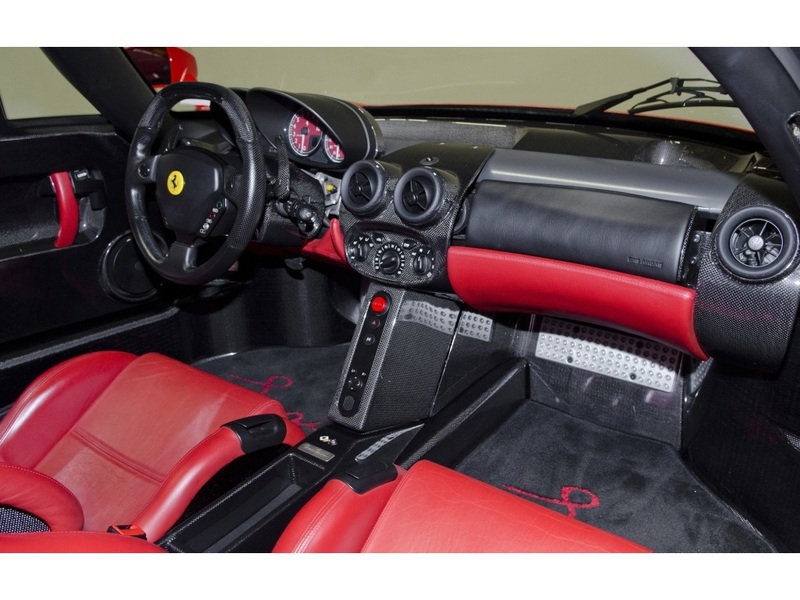 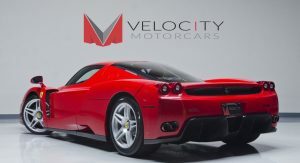 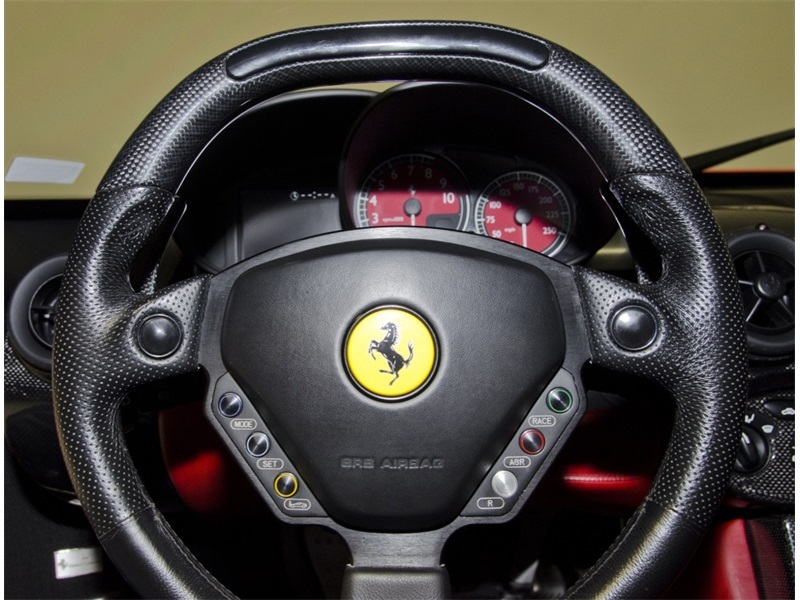 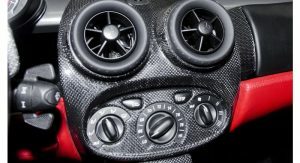 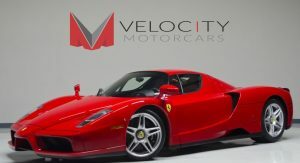 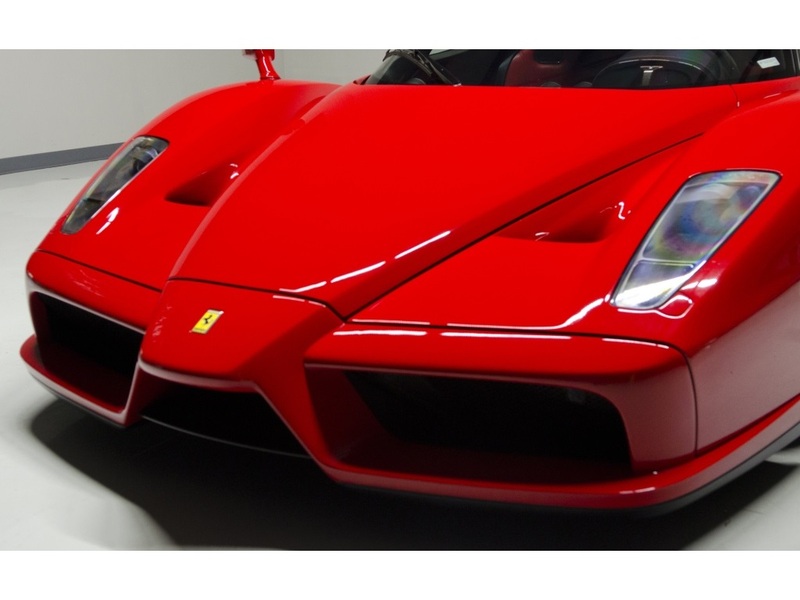 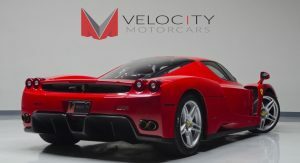 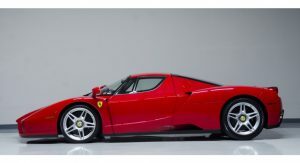 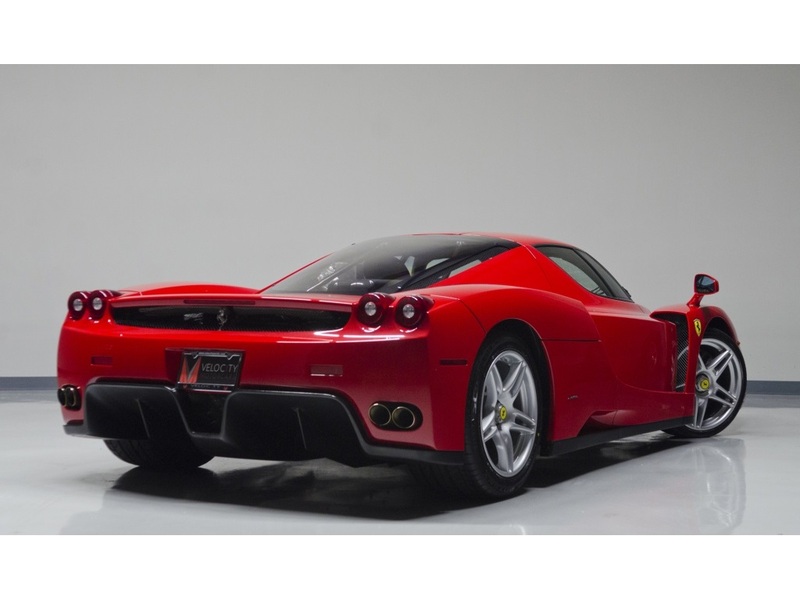 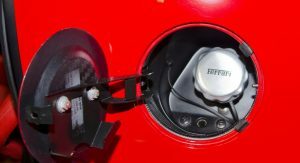 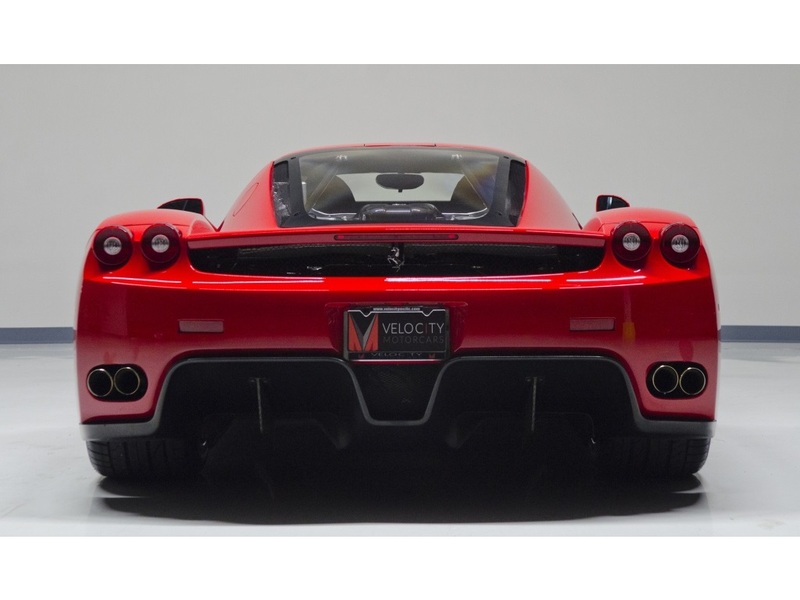 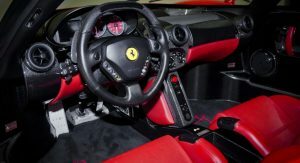 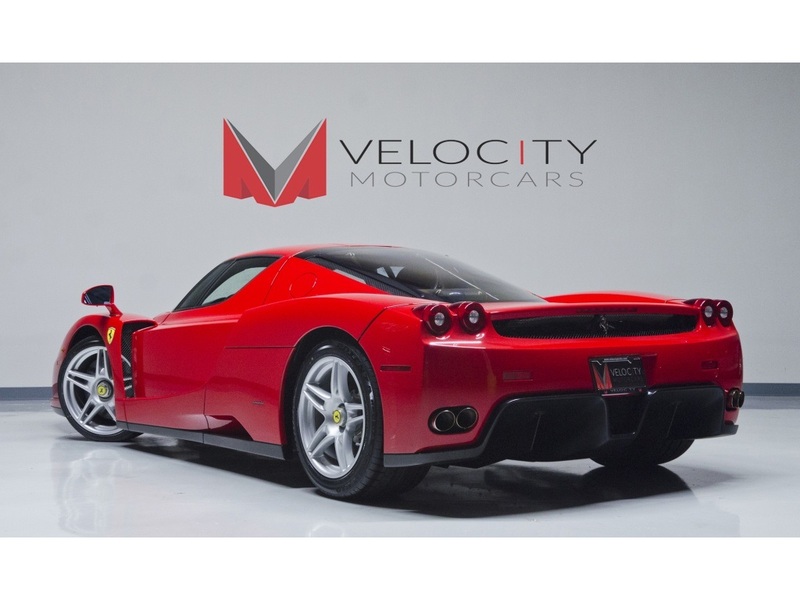 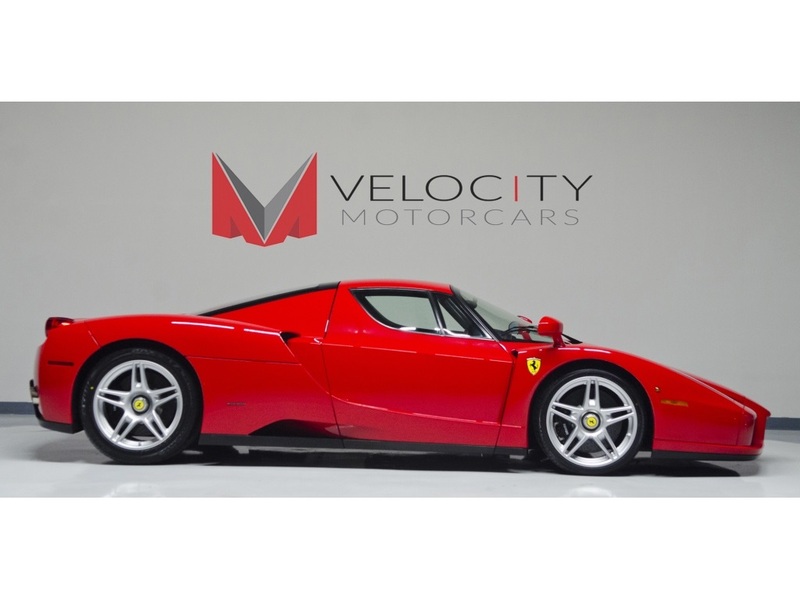 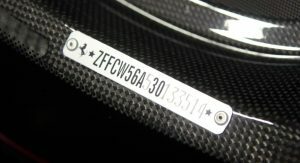 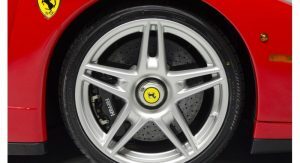 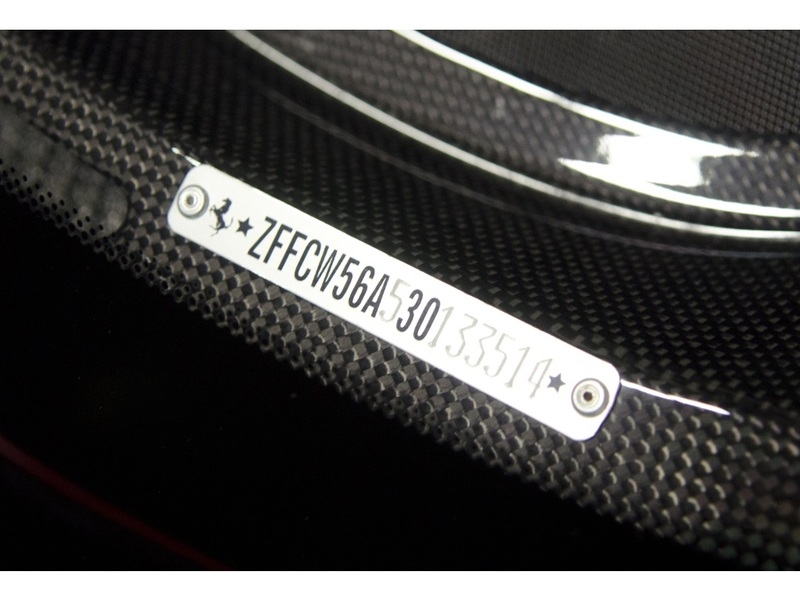 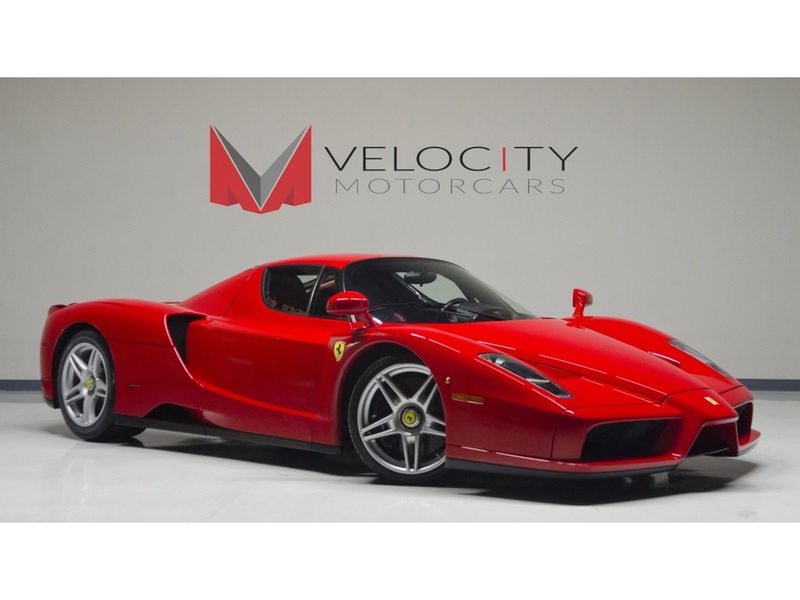 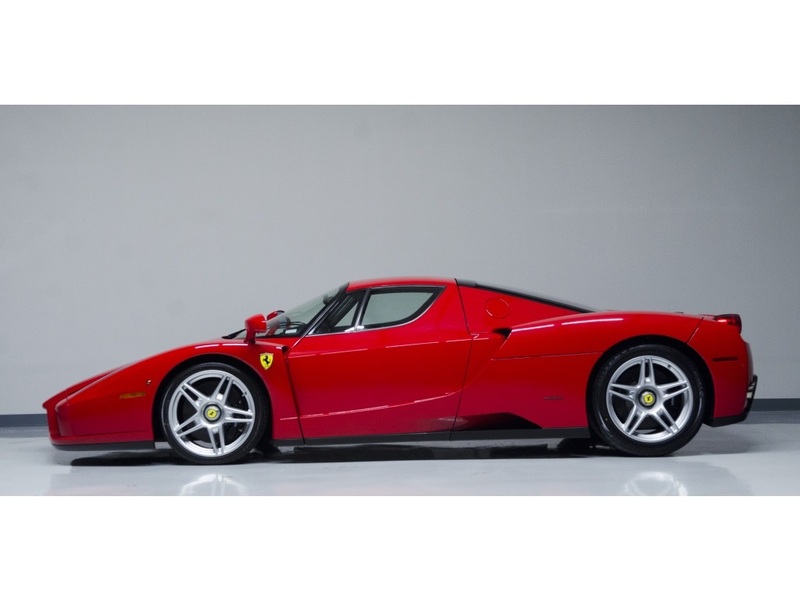 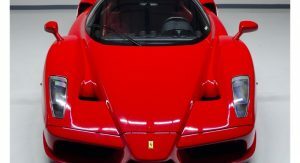 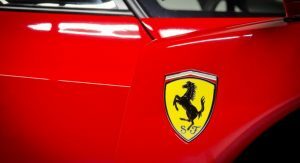 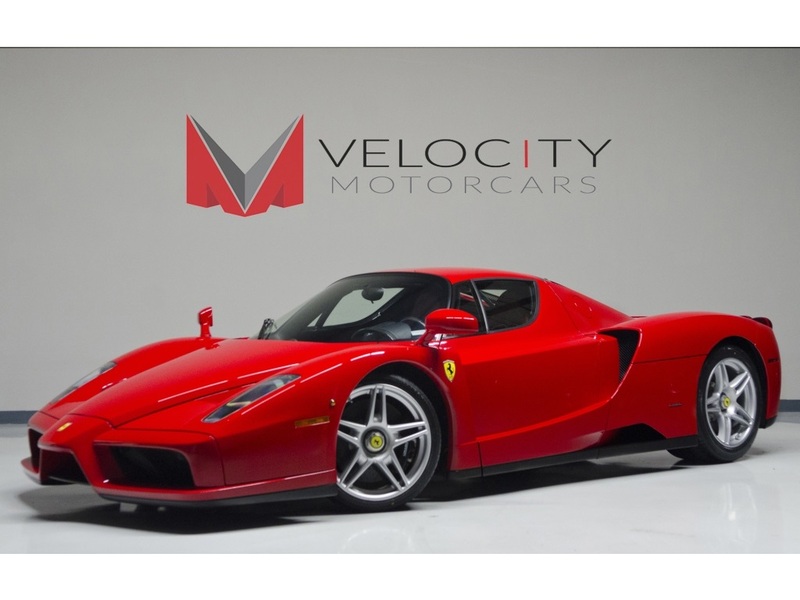 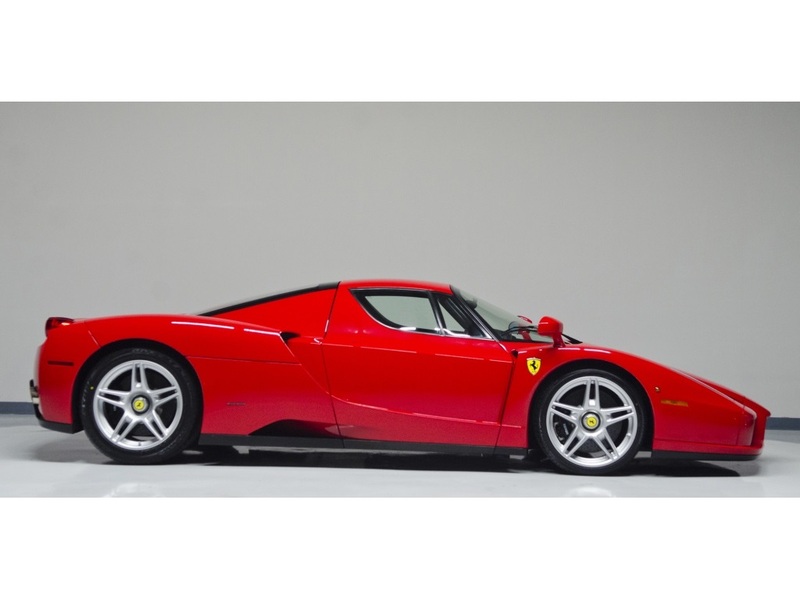 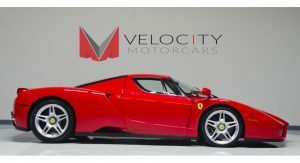 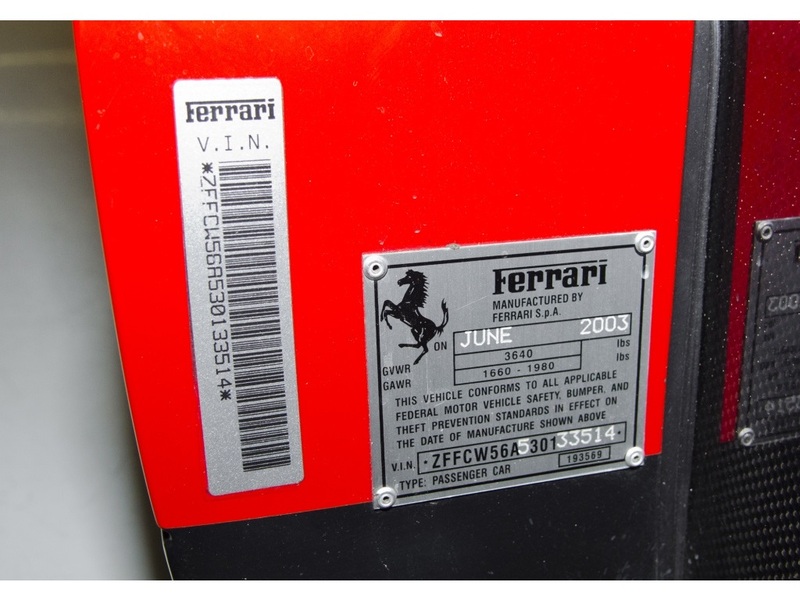 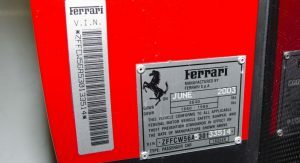 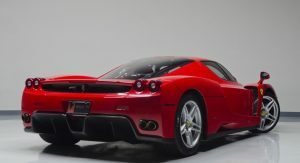 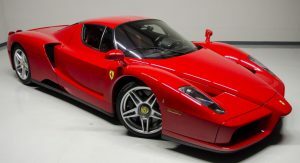 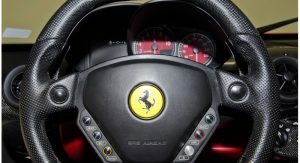 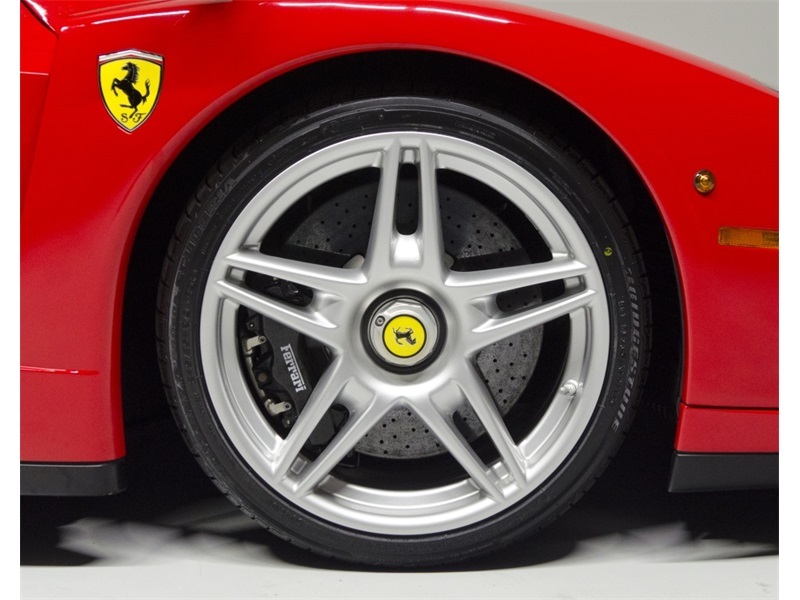 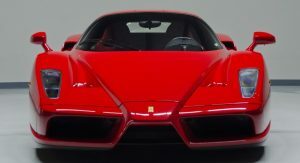 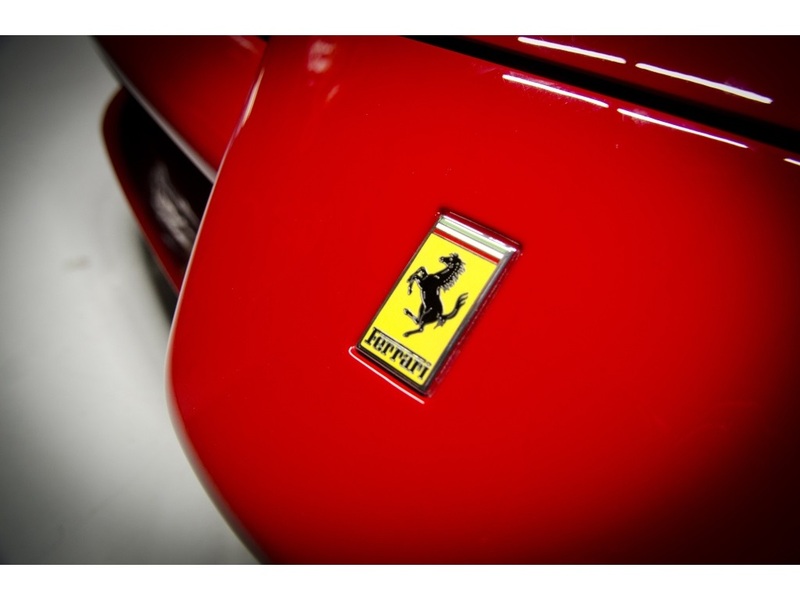 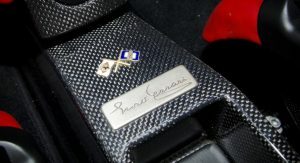 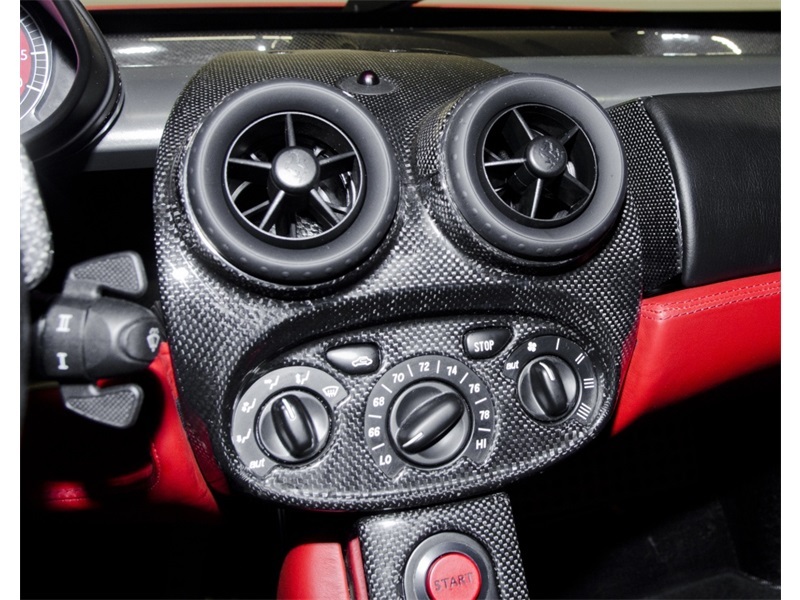 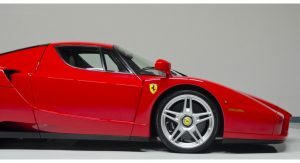 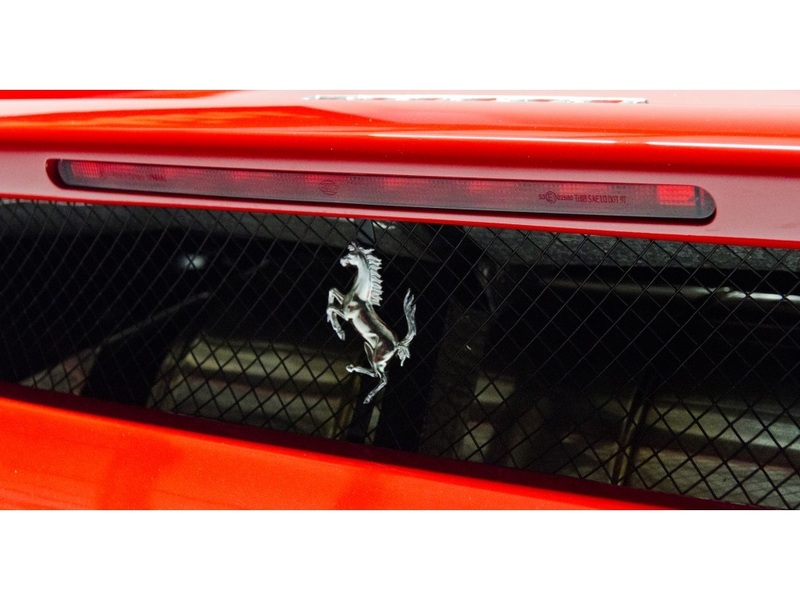 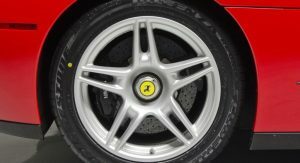 Listed for sale on eBay by a dealership in Nashville, the Italian supercar had received annual servicing from an authorized Ferrari dealer. 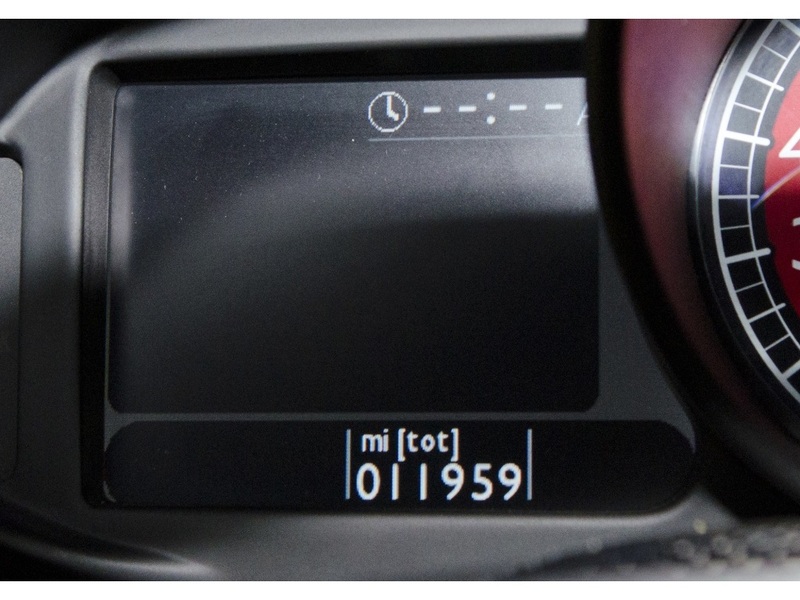 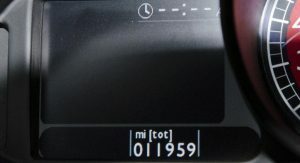 Unlike most, which were rarely driven and kept as garage queens while their owners waited for them to appreciate, its odometer currently indicates 11,959 miles (19,246 km). 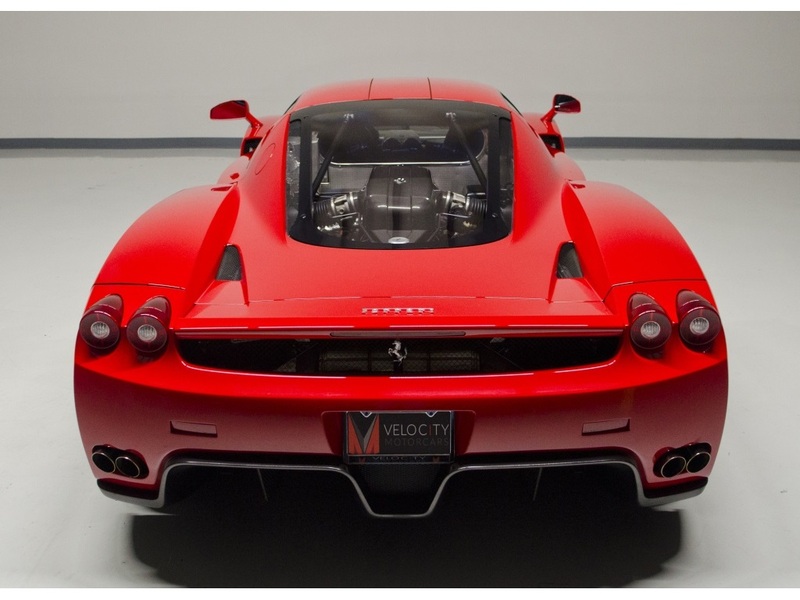 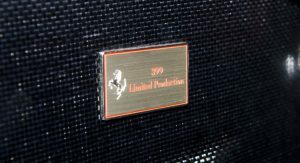 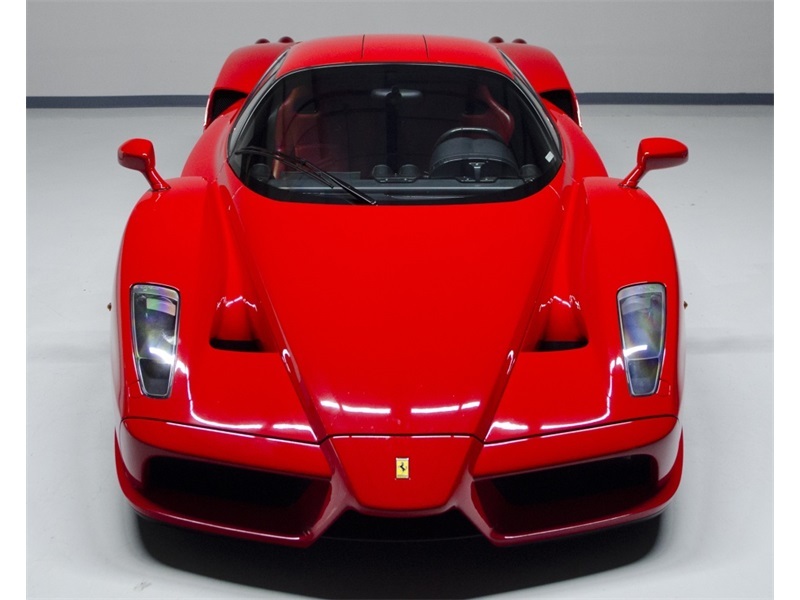 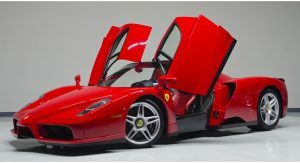 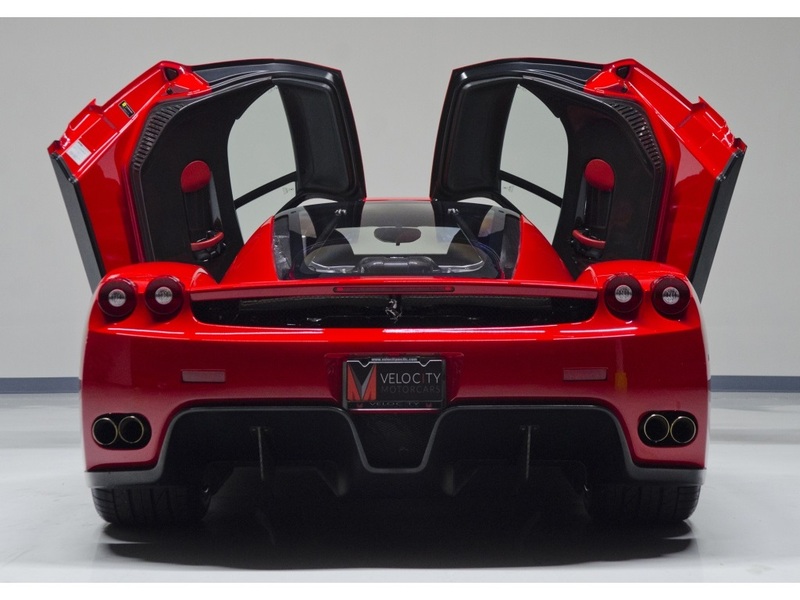 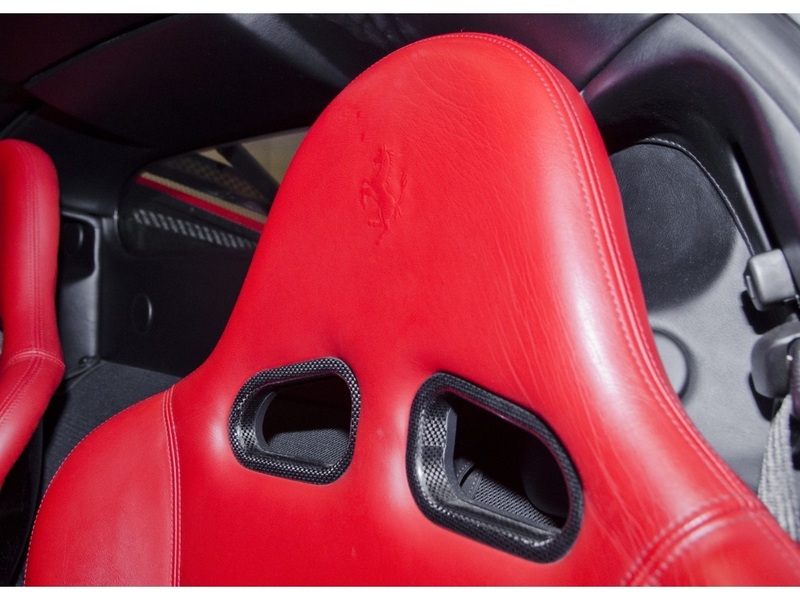 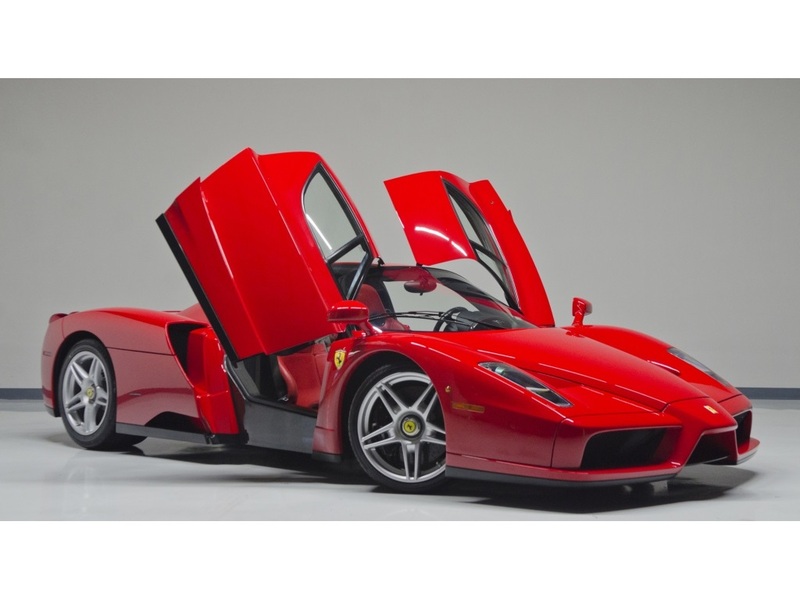 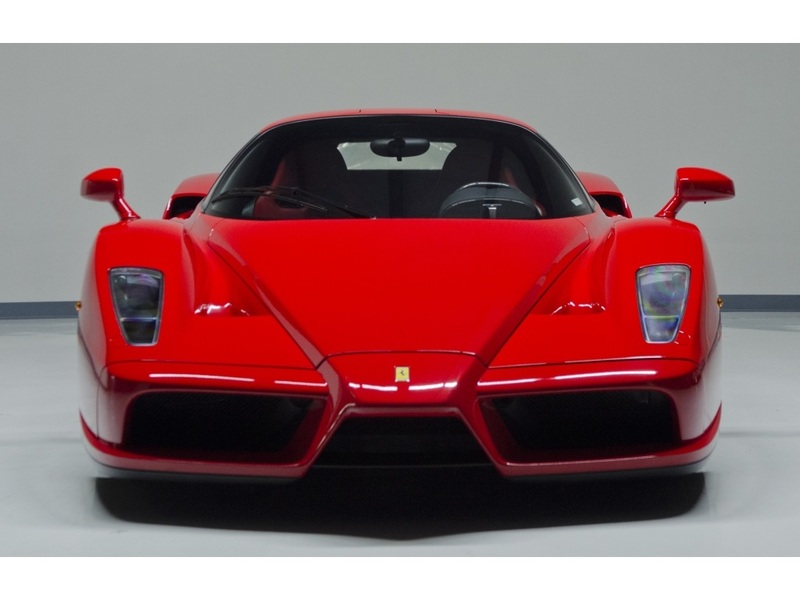 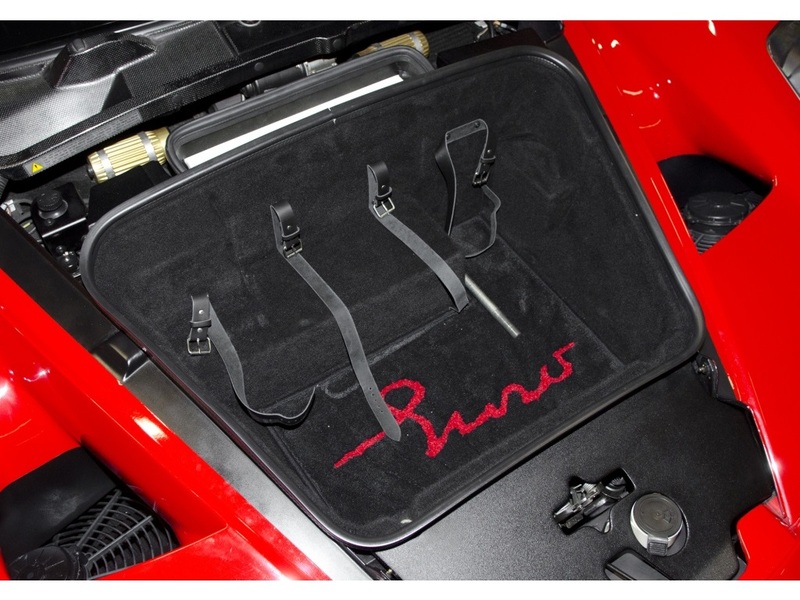 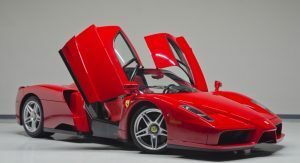 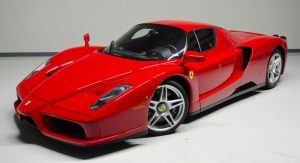 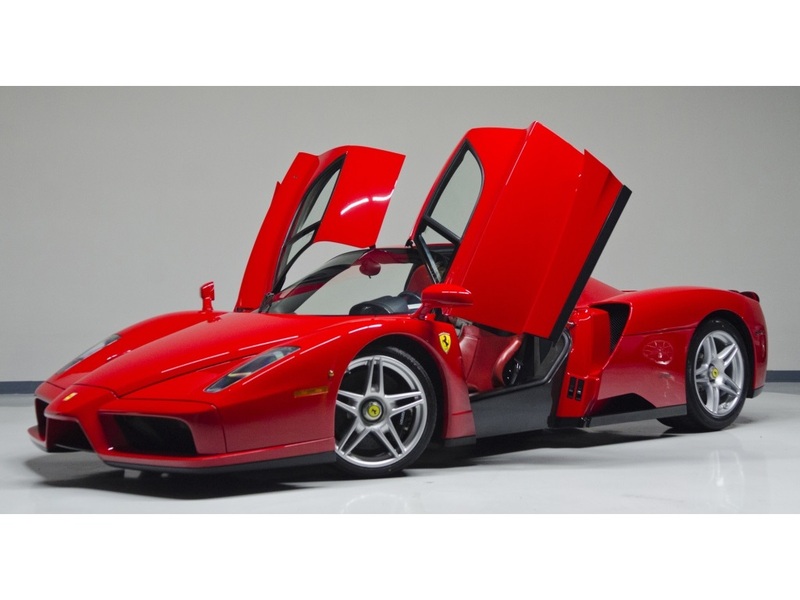 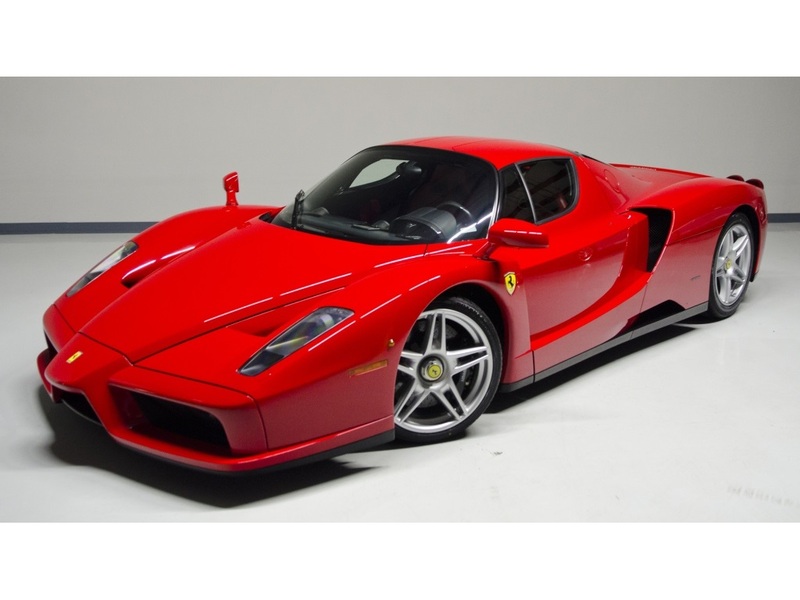 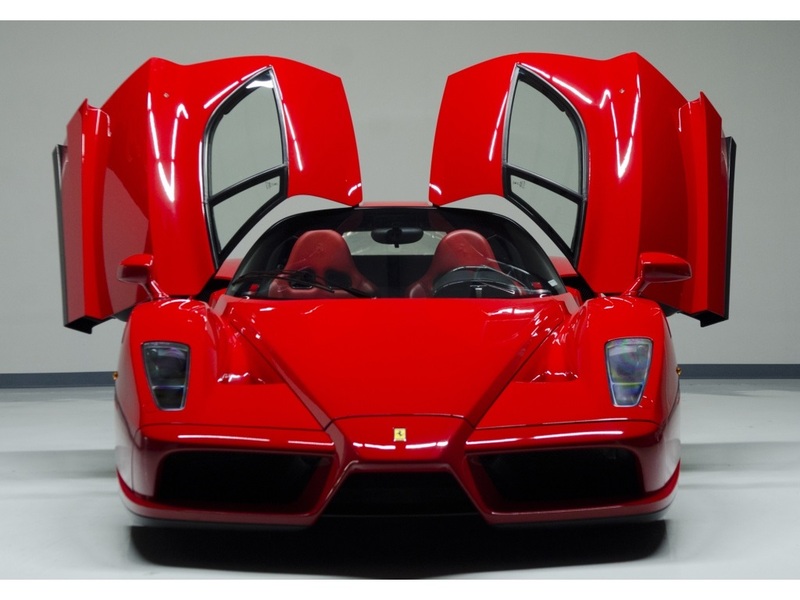 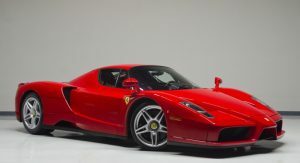 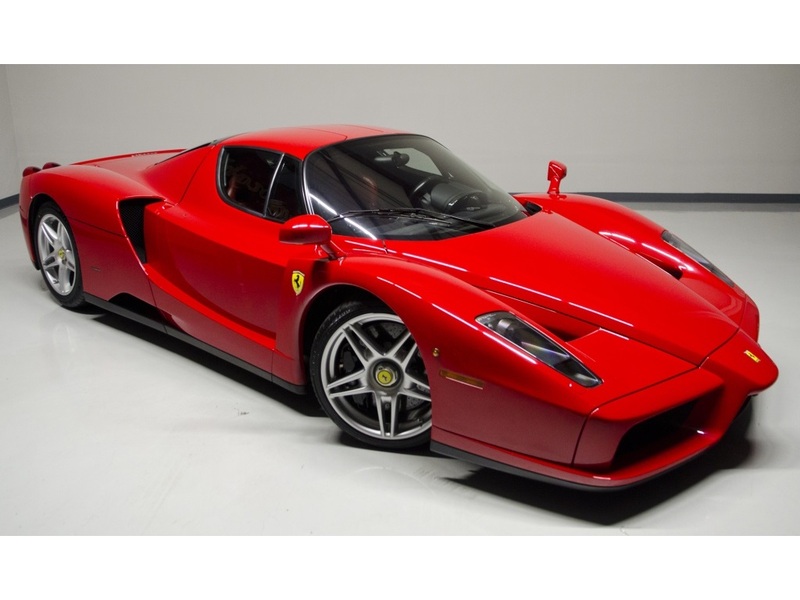 Besides the asking price of $2.7 million, a serious buyer should also know that the Enzo comes with no warranty. 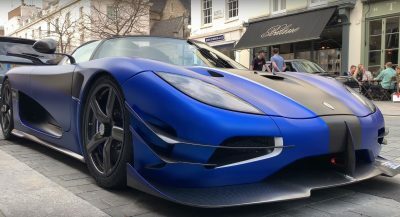 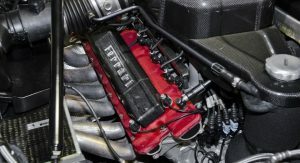 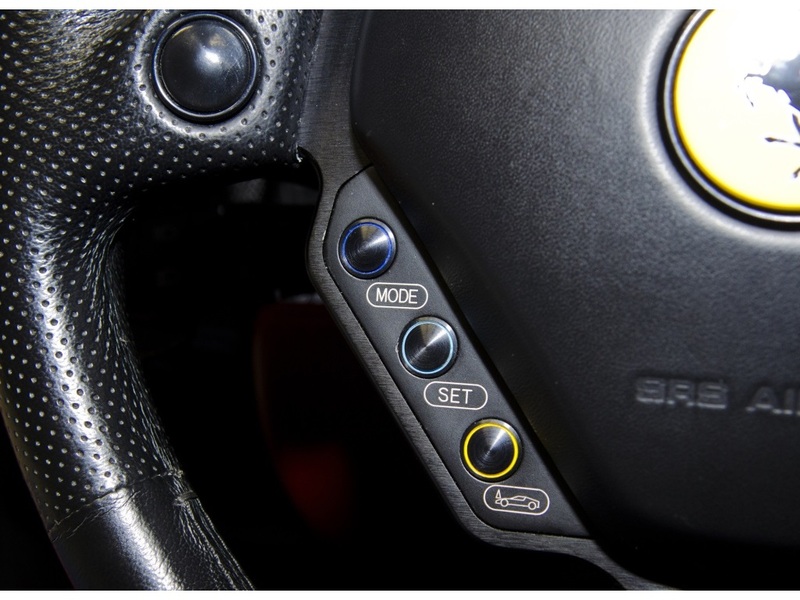 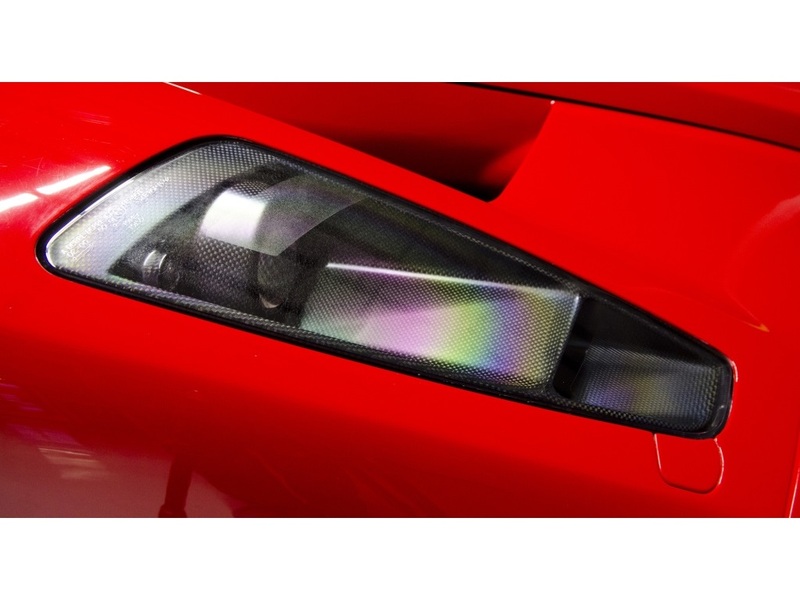 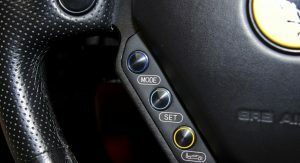 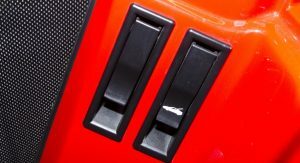 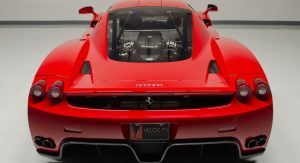 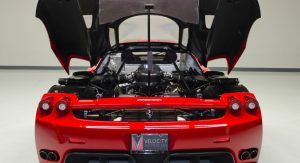 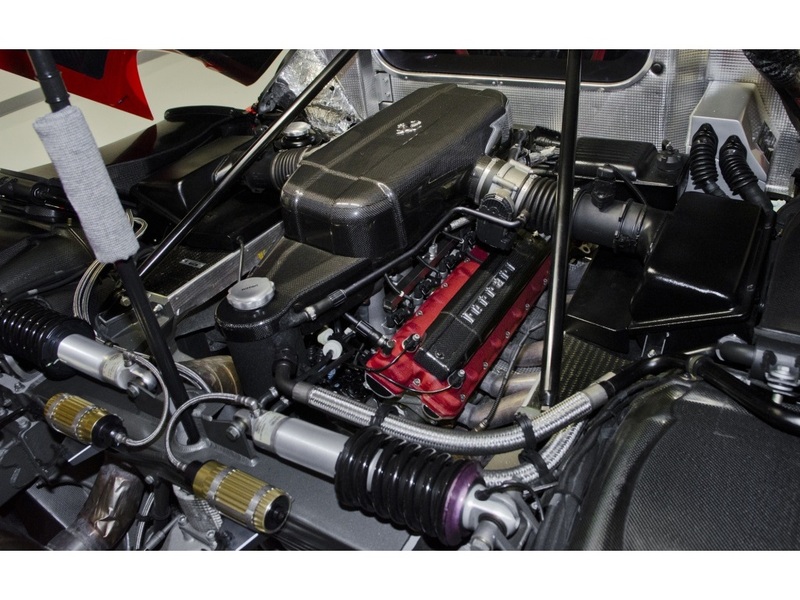 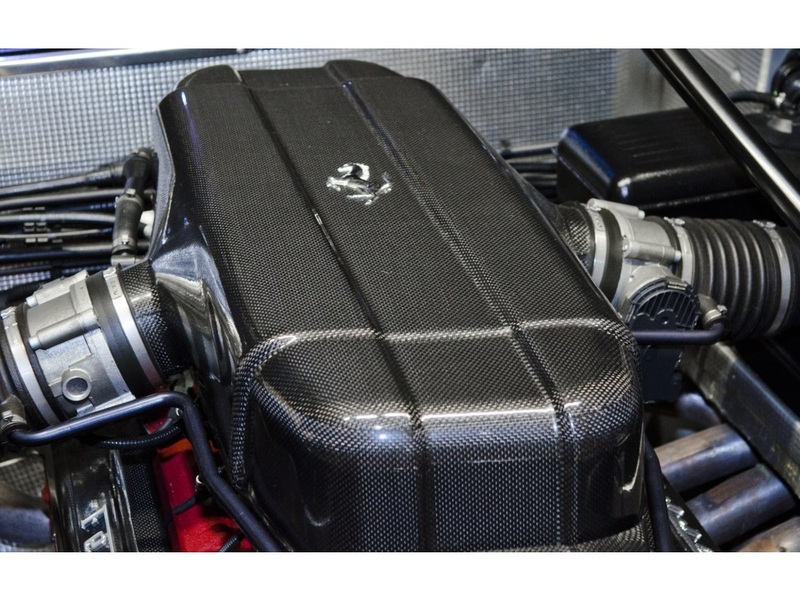 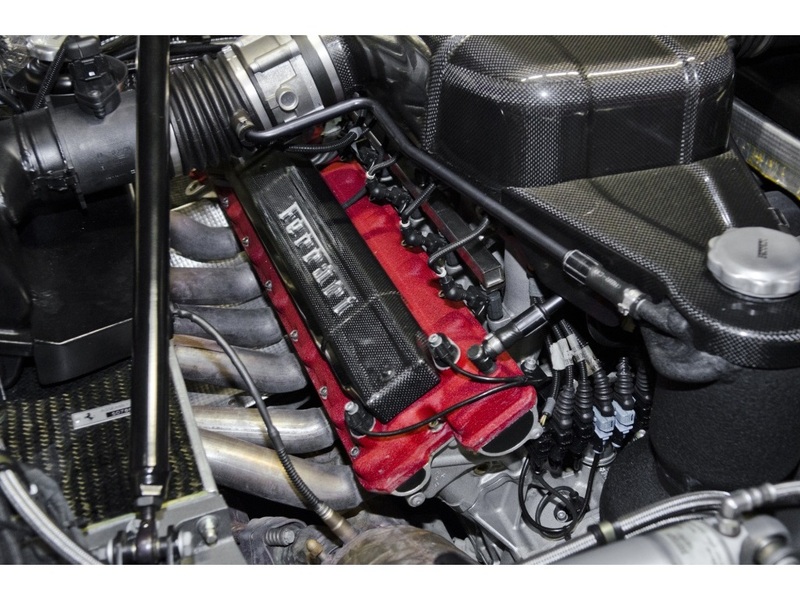 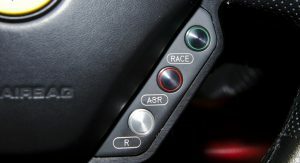 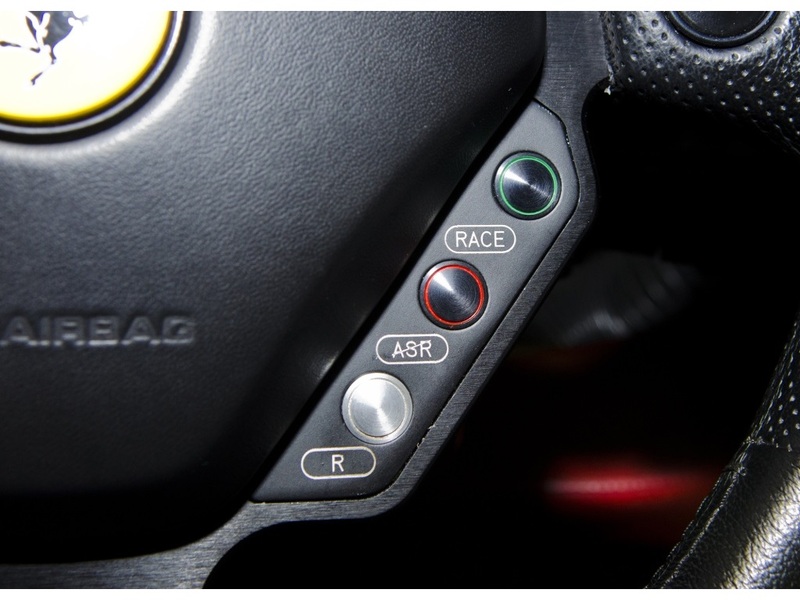 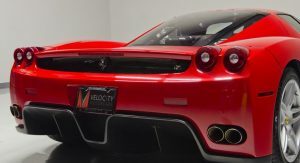 Equipped with “the most advanced track-derived technologies of its day”, as Ferrari writes, the mid-engined and rear-wheel drive supercar is powered by a 6.0-liter naturally aspirated mill, producing 660 PS (651 HP) and 657 Nm (485 lb-ft) of torque. 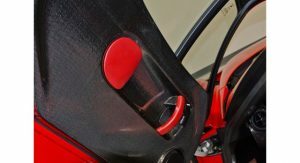 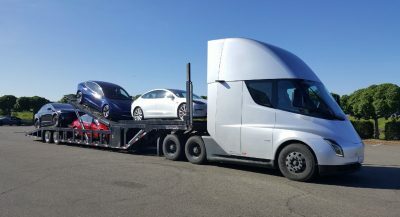 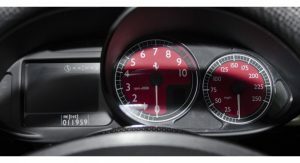 It needs 3.65 seconds to go from naught to 100 km/h (62 mph) and will keep acceleration up to a top speed of 350 km/h (217 mph). 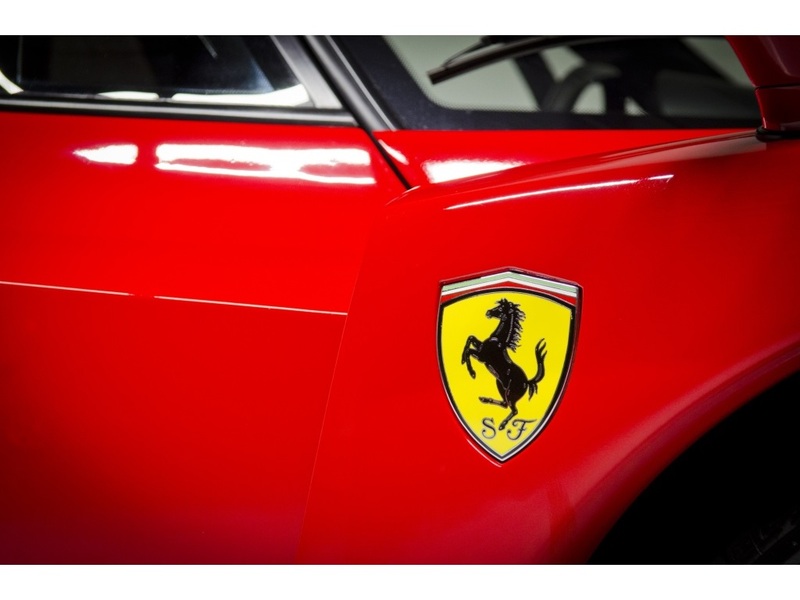 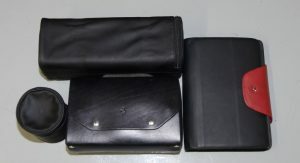 Absolute timeless design. 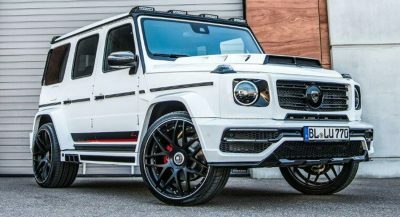 I would take this over any Ferrari. 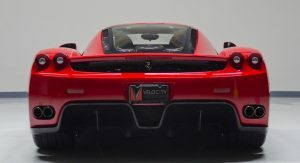 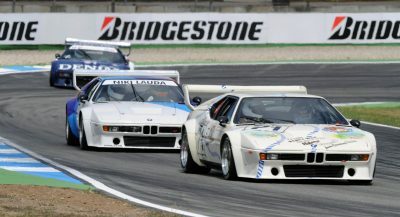 I dunno why, but pic 60 reminds me of the McLaren F1. 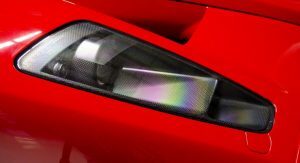 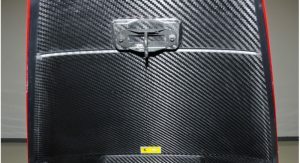 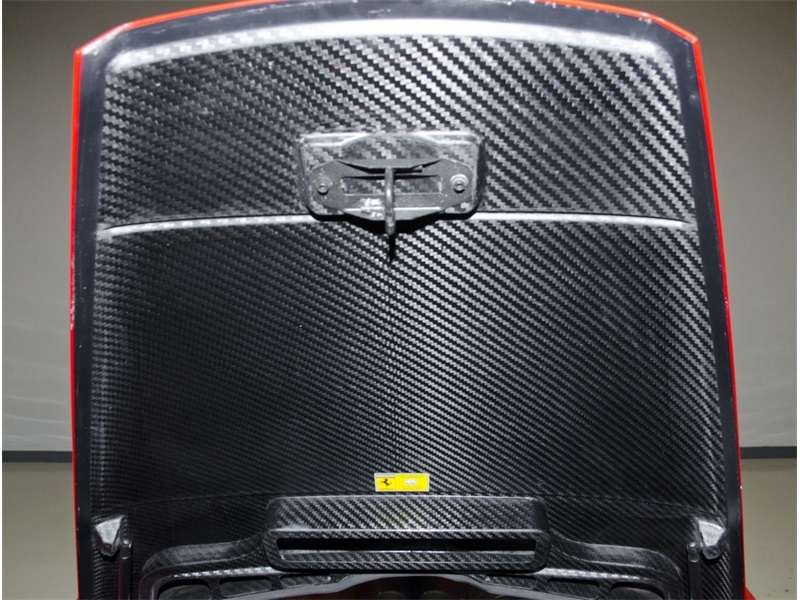 I see a lot of Zonda in that side view. 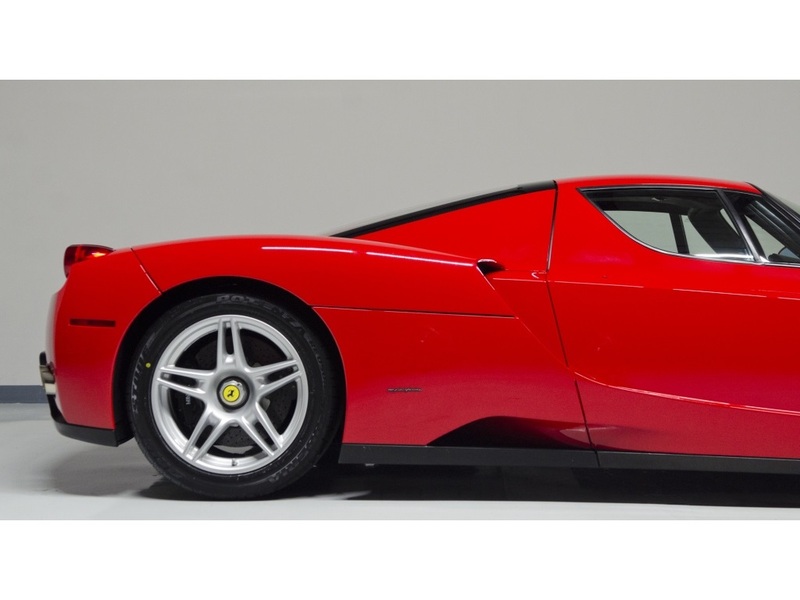 “Enzo comes with no warranty”. 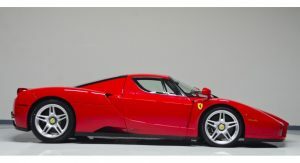 If that’s the case there’s brave rich loony’s out there. 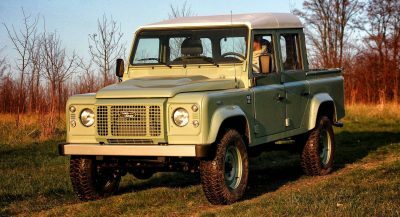 Previous PostPrevious Is This Toyota Land Cruiser 6×6 The Best Off-Roader Out There?